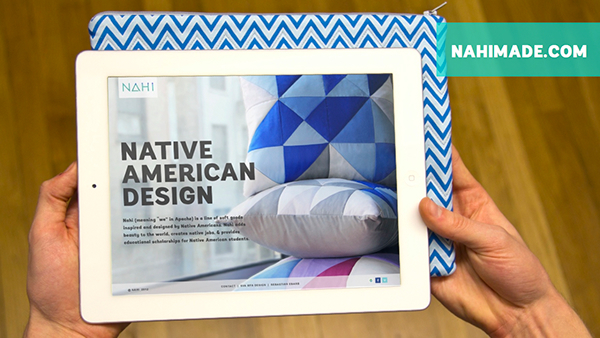 Nahi (meaning “we” in Apache) is a line of soft goods inspired and designed by Native Americans. Nahi adds beauty to the world, create native jobs, and provides educational scholarships for Native American students. For many Native Americans, the American dream goes unrealized. Historically, the American indigenous population faced systemic disadvantage, leaving us with little hope and many problems. Economic instability is at the root of the problem. In 2006, the Wall Street Journal reported that “Over 20% of Native American reservation households make less than $5,000 annually while only 6% of the overall US population has an annual income of less than $5,000.” How do we solve the problem of economic inequality as a native community? Native Americans are more then just a sad story. To begin to fix these issues, we need a brand that celebrates the positives in Native culture by using our designs and individual tribal histories to create jobs and economic opportunity. By creating jobs through mixing our culture with manufacturing to create derivative products and brining them a wide national audience. On my twelfth birthday I was given my Native name. The traditional Native name is a symbol of who you are and what you will become. My family and my tribal medicine man named me Flying Eagle; I was told that one day I would speak for my people, that one day I would create a better day for all Native Americans. From that day to this I have carried my name with me, thinking of ways to create that change. When I was 18, I was accepted to Trinity College with a full scholarship. In honor of my achievement, my mother made me a quilt. The creation of celebratory quilts are a tradition that my tribe (the Choctaw- Apache Tribe of Ebarb) has honored for generations. My father has held on to his own quilt, made by his grandmother, for his entire life; my great-aunts are quilters as well. It is more than just a hobby, it is a tradition passed down though the generations. 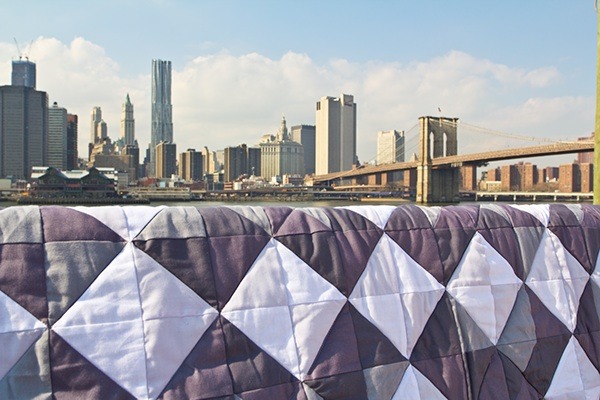 Each quilt is special and unique and given for different reasons–the birth of a child, acceptance into college, winning a state athletic championship. Looking at the textile and quilting traditions of Native Americans, I realized that I had found the first step towards helping Native Americans. 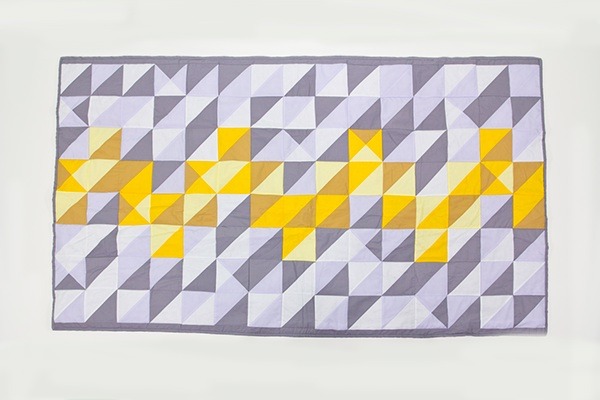 The uniqueness and variety of quilts and Native patterns allows room for variation, making it the perfect medium to explore. 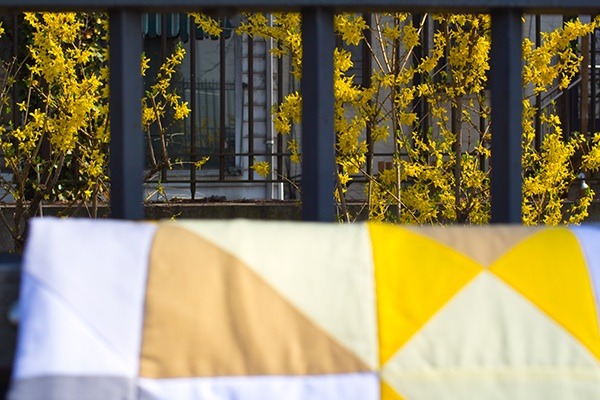 I love and use my collegiate quilt to this day, and want to bring some of that tradition into every home. Nahi's soft goods create a connection to Native American culture both past and present. The patterns are completely Native American designed. The products will be made and distributed by Nahi and sold through its web page and third party sellers. While we are selling physical objects, we are also selling hope. By creating financial and educational opportunities for Natives, we can help to bridge the void that many Natives now feel in their lives. Each item will be sold with a small booklet explaining the history of the work and how purchasing the product benefits Native communities. 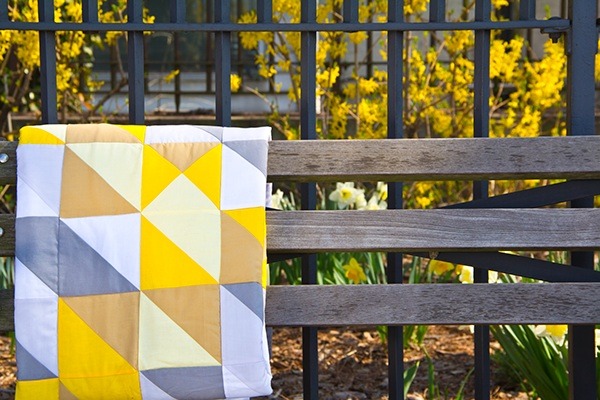 Nahi expands on Native soft goods traditions and patterns by applying quilting techniques and patterns to a wide variety of objects–starting with quilts, pillowcases, tote bags, clutch bags, iPad cases, and more. Each is unique and made of 100% woven cotton that gets softer over time, because cotton is a traditional fabric that has been used by Native Americans for centuries. Using a sewing machine is a skill that almost anyone can learn. 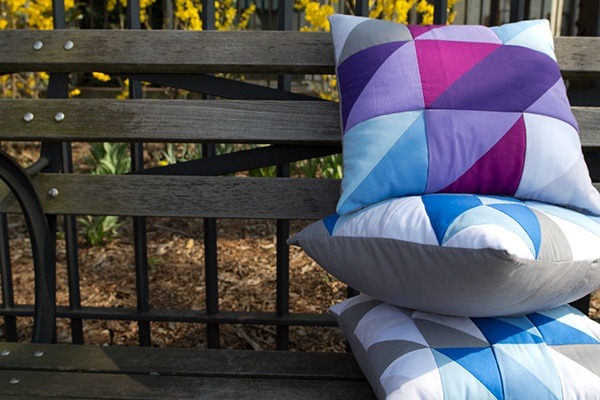 The pillows and quilts were designed to be fabricated in a modular system, helping new employees (who may not have ever cut fabric before) to learn at a much quicker rate. Each modular for the launch line is based off of a square bisected with color. Using this system cuts down on waste and allows employees with minimal training to pick up fabric and start working. As the line expands and new employees become familiar with how to produce our quilted goods with greater speed, we can add more complicated items to the line. 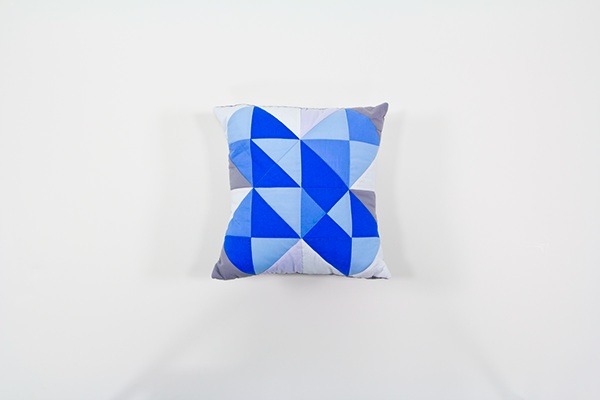 Other sewn, but not quilted, objects in the line are built from Nahi patterned textiles. 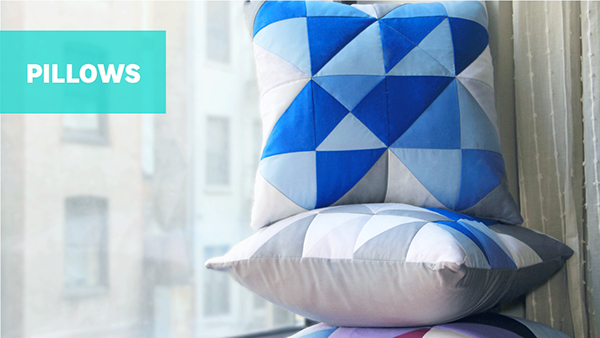 They require less sewing and are made with much larger pieces of fabric, making them easy to produce. 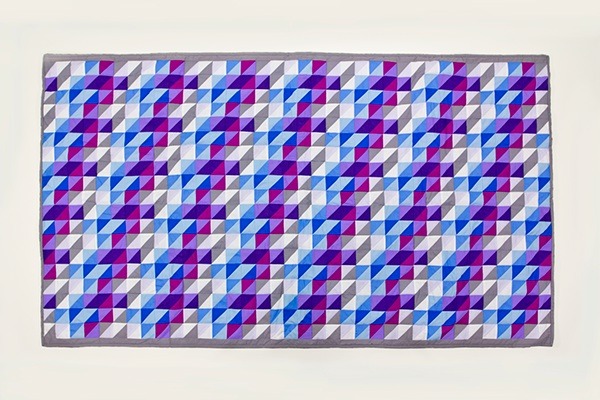 Patterns are at the core of Nahi’s craft. 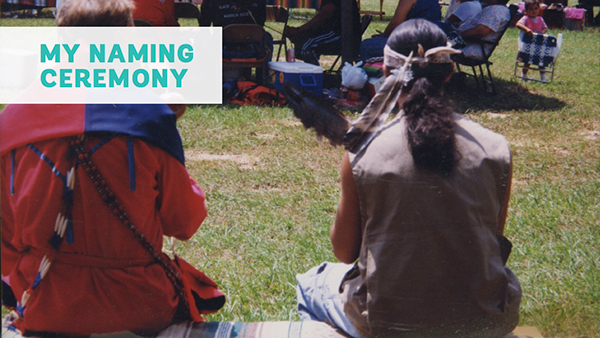 Using museum record and photos of historical Choctaw and Apache objects, Nahi exemplifies a new, modernized visual language. Patterns will be the cornerstone of the brand strategy. With Native geometric patterns at the core of the products, the brand can move outward from this center and explore different ideas within the same visual language from other tribes. Recognizing the importance of fluidity and evolution in brand marketing, Nahi’s visual strategy will embrace growth and change while maintaining its fundamental recognition value. 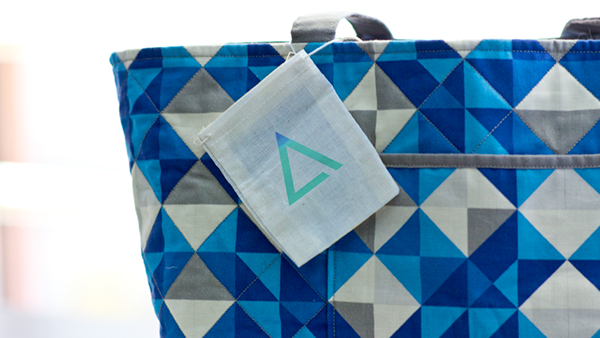 Packaging is minimal, elegant, and reusable; Nahi uses a series of canvas bags packed in boxes to protect our products. The canvas bag not only protects, but also serves as a shopping bag and storage unit. 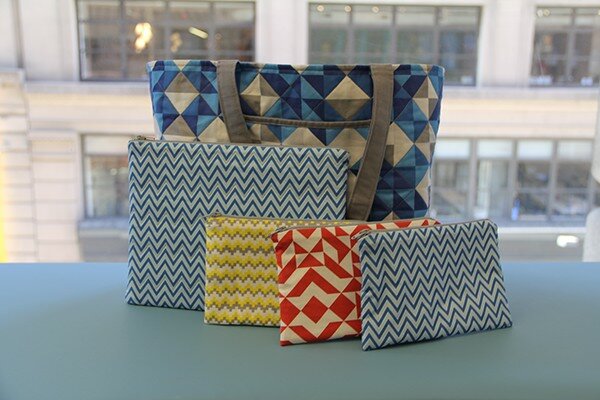 A pull-tie canvas bag is a durable, usable, and sustainable item to protect the quilt when in storage or in transit. 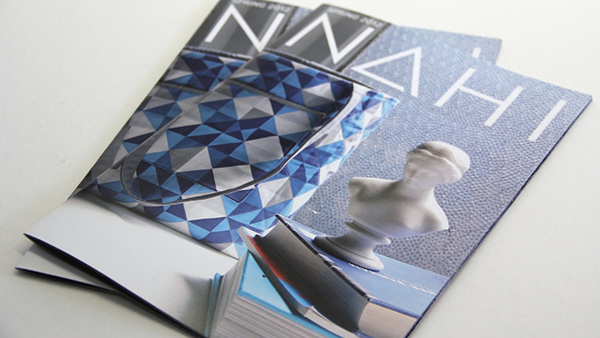 An informational fold accompanies each product: the origins of the patterns and the history of the brand will be the substance of the booklet. This allows owners to gain more information about their product’s pattern and tribal identity. 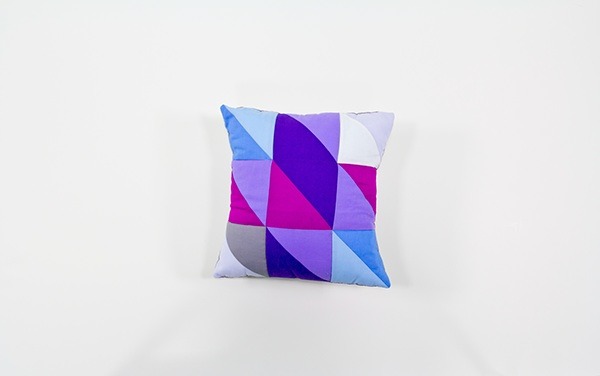 In addition, the booklet will display the brand’s other patterns and give care instructions. 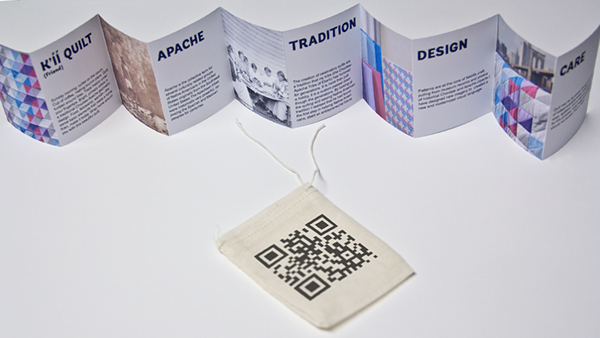 Lastly the booklet will come in a small bag that will display a qr code, leading the user to a mini web page with details on the individual who made the object. 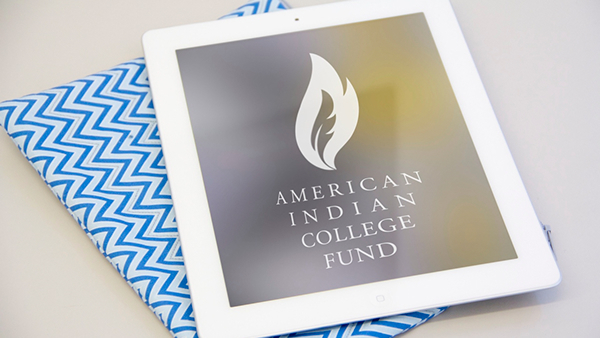 all proceeds from chevron iPad case go to the American Indian College Fund. 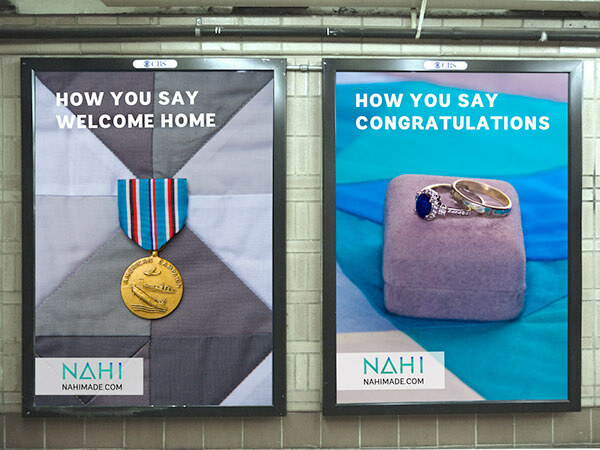 The maintenance of tradition is perhaps one of the most powerful tools in marketing. Our second wave of Ads will be placed in subways & magazines such as Elle Decor, Better Homes, Dwell, and various others. Advertising in magazines such as these will reach our core demographic. They are culture makers and dictate to many what good style is. One of the greatest reasons to advertise in magazines is that Native art hasn’t spread because it exists within its own bubble. Those who like native art are more inclined to buy it and know about it because they part of that world. To find it, you often have to stumble across it. Getting noticed one of the hardest parts of being a brand, especially for a Native American company. It’s necessary to look to such magazines and trendsetters to move Native art into new, untapped markets. The catalog is instrumental to driving people to the site. 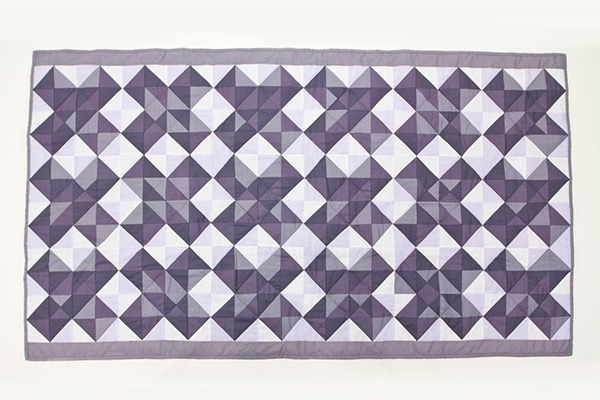 Photographing the items in an enchanting setting will help give the consumer context of how a quilt like this could be displayed and used. Furthermore, it gives me the opportunity to reach out to customers through a familiar medium. Countless brands have used catalogs with great success. The first wave will be to those who attend/watch the forum and sign up from my newsletter. Over time, the company can buy mailing lists and send catalogs directly to our demographic. 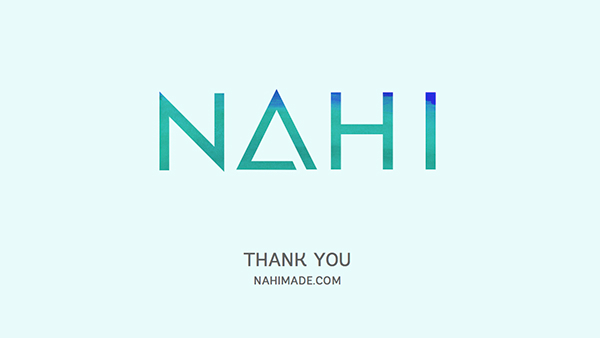 Nahimade.com will be a digital carousel, mixing videos of different aspects of the brand with retail pages touting individual products. This setup encourages the user to flow in and out of the Nahi story while shopping. The carousel also allows us to rotate the order of different aspects of the brand story and products, giving us the dexterity to highlight what we want, when we want. No matter how much we change, everything remains just a few clicks away. Nahimade.com will also tackle new barriers. Often in online shopping, there is a gap between the physical product and the digital store. You can’t hold the product, feel its texture, or understand how it moves. One way to help fill that divide is by adding short, quick-loading videos (animated GIFs) to the product pages. 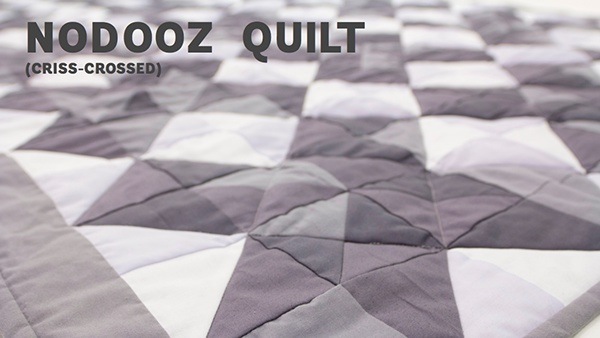 For example, a quilt can be shaken out, folded over or smoothed out in the video to show the dimension and life of the product and give people an idea of what to expect from the quilt. 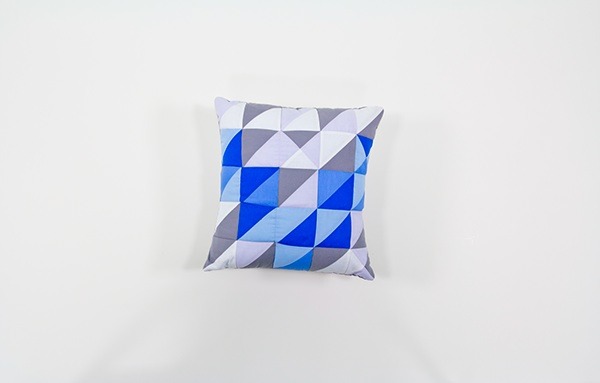 The same can be done for pillows or other soft goods. 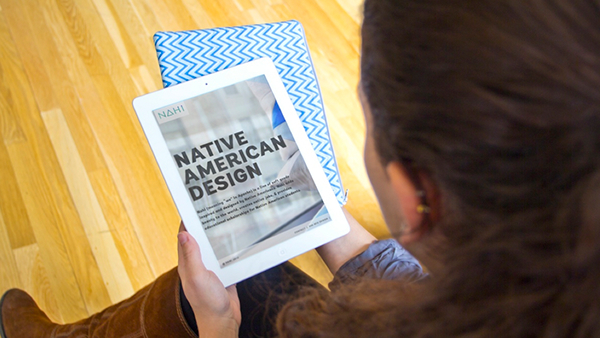 Nahi captures the enthusiasm of those who want to know about Native culture and turns it into a revenue stream for First Americans. That enthusiasm and energy can counteract one of this biggest problems facing us: economic instability. Lack of funding and jobs are a constant problem in the reservation system. A line of Native American-made goods would allow for more jobs and better economic stability on reservations. The brand’s usefulness as an income generator should be extended to as many places as possible—that’s why Nahi donates the revenue from select products to the American Indian College Fund. By sharing its profits with the fund, Nahi will create long- and short-term economic benefits for Native Americans by providing many Native workers with a salary while also helping to educate the next generation of students. 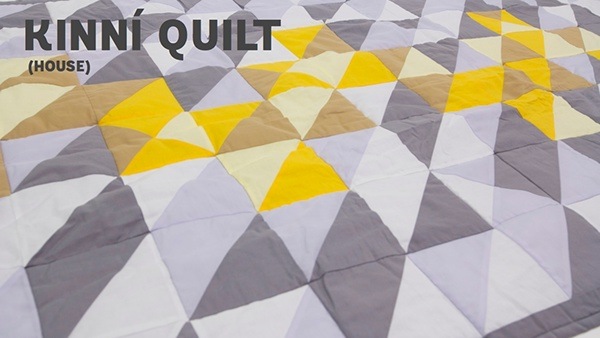 Nahi will start with a line of Apache- and Choctaw-inspired patterns and quilts. As the brand grows, it will employ designers of different tribes to create patterns inspired by the unique culture and style of their own tribe. By celebrating the rich individual identities of different tribes, we avoid whitewashing the diversity of Native American history and art. 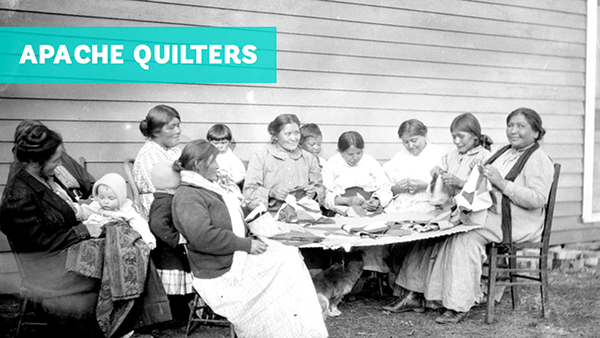 Keeping tradition is one a central concern, so we will be hiring Native master quilters. 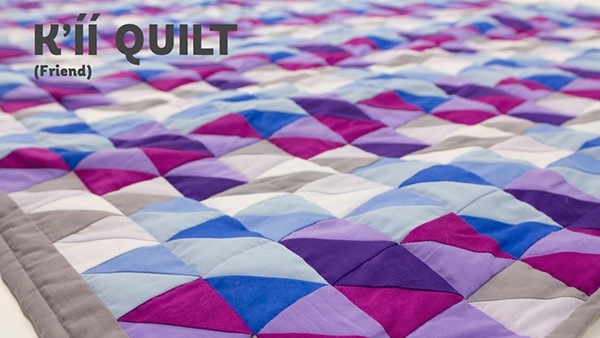 Hiring experienced quilters to teach new employees will ensure that traditions are passed on, allowing a new generation to be taught quilting and the history of our patterns. 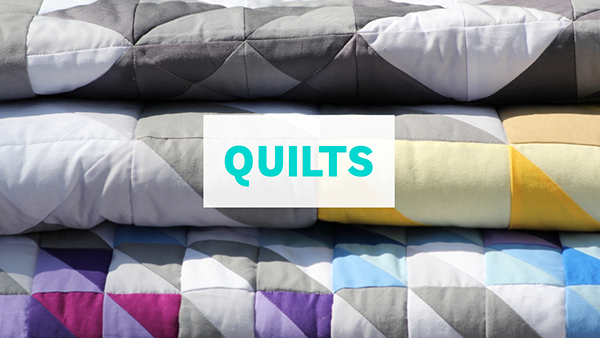 Over time, the master quilters can develop new patterns for Nahi. Master quilters will be recruited and retained by offering them licensing rights for their work used by Nahi, which will benefit both the individual and Nahi by ensuring fresh designs and a consistent revenue stream. There’s more to the grand diversity of Native American culture and art than the interpretive patterns and quilts of a few designers. Nahi exposes such works in a way that hasn’t been done before. Over time, we will develop a website that will allow Native artisans to gain more money by putting their wares up for sale in a vending space besides the pow-wow circuit. Many Native artisans are only able to sell goods locally, and often have to go out on the road to sell at pow-wows. One of the main reasons people don’t buy Native goods online is because they have no way of knowing whether the goods are authentically Native American or not. In the future, using Nahi’s credibility as an authentic Native brand, we can create a curated website for Native artists. Creating such website allows Nahi to expand its talent pool by licensing patterns and artwork for its soft goods brand, and also helps artisans expand their ability to sell online. Of course, the artisans on the site will be able to produce their own works and are not obligated to license to Nahi, but such a partnership would be an added benefit to both. Nahi is a long-term path for creating economic stability though art in a way that has never been explored before in the Native American community. Its far-reaching consequences can help a variety of different tribes and artisans throughout North America.